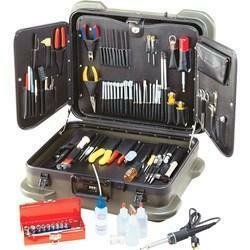 Dealers and Importers of Tool Kits for various industrial applications. Be it a workshop or an individual, we can offer tool kit for every application like Maintenance, Electrical, Plumbing, HVAC, Rail Road and Aircraft in reputed makes. We are importers and leading stockists of PROSKIT USA hand tools.Since 2006, Pro’sKit USA has been supplying do-it-yourselfers and businesses in the electrical, electronics, security and networking industries with professional grade tools at unbeatable low prices. With a catalog of more than 2,000 Pro’sKit tools and tool kits, you’re bound to find exactly what you need. 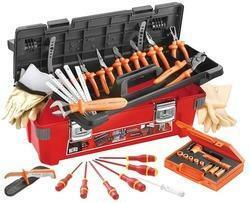 Dealers in Master Technician's Maintenance Set or Plant & Equipment maintenance Set. 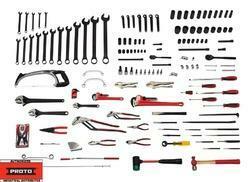 These sets include all tools required for the maintenance of plant and machinery. 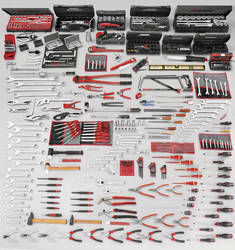 Similarly we provide Tools Sets of 1046 Pcs, 833 Pcs, 613 Pcs, 497 Pcs, 272 Pcs, 194 Pcs, 118 Pcs & 102 Pcs. We deal with Electrical Tool kit in FACOM, PROTO, WIHA, KNIPEX and GEDORE makes. 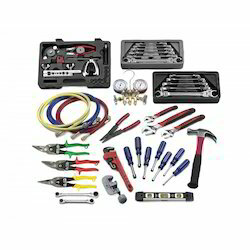 The tool kit covers an extensive range of tools needed by an electrician like Spanners, Screwdrivers, Pliers, Multimeters, Gloves, Hex Keys, Knives,etc These are insulated to resist electricty upto 1000 Volts and confirms to IEC EN 60900:2004 standards. 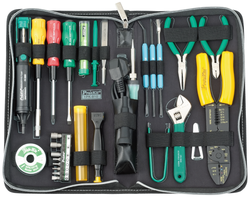 We offer a wide range of Electrical or Electrician's tool kits from 18 pcs to 96 pcs with tool storage bags and cabinets. 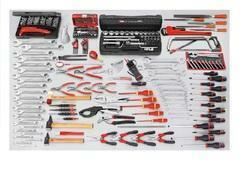 We offer Modular Tool Sets for easy access of your tools. 1.Two-Colour system helps immediate identification of missing tools, No risk of forgetting a tool in a machine or an engine after servicing. 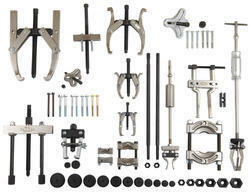 We offer a wide range of Bearing Extractor/Puller sets ranging from 3 to 10 tons. These sets include the most oftenly used pullers: Internal, External and Slide Hammer. We also offer Bearing Separator Sets for removing gears and bearing too close to another surface for a puller jaw grip, or where the pulled out part must be protected. 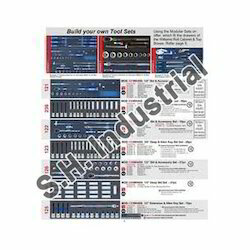 The above sets are offered with multiple tool storage options. These sets are of premium quality made in USA and offer lifetime warranty. Looking for Tool Kits ?